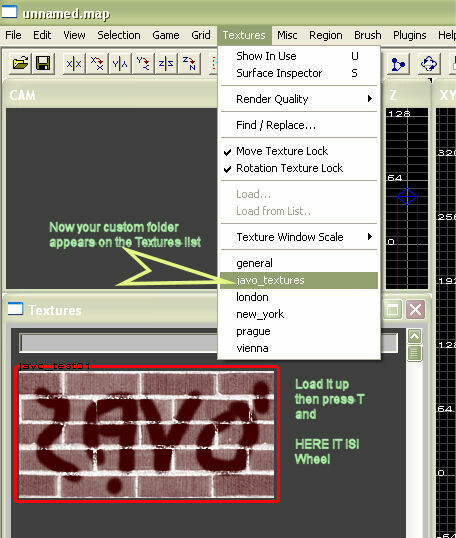 This tutorial will show you step by step on how to add custom textures to Embrace. This tutorial requires knowledge of building tga files, which is available in the Texturing Redemption using The GIMP topic. 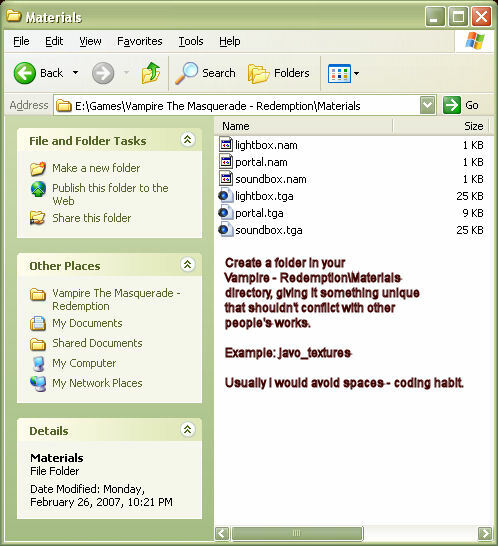 -First step is to go to main Vampire - Redemption folder and find the Materials subfolder. NOTE: Not to be confused with 3d\Materials folder. 3d\Materials folder is for models only. The Materials folder we want is for maps. -Create a custom folder given a 'unique' name that shouldn't conflict with other author's works - try using your handle as a name. 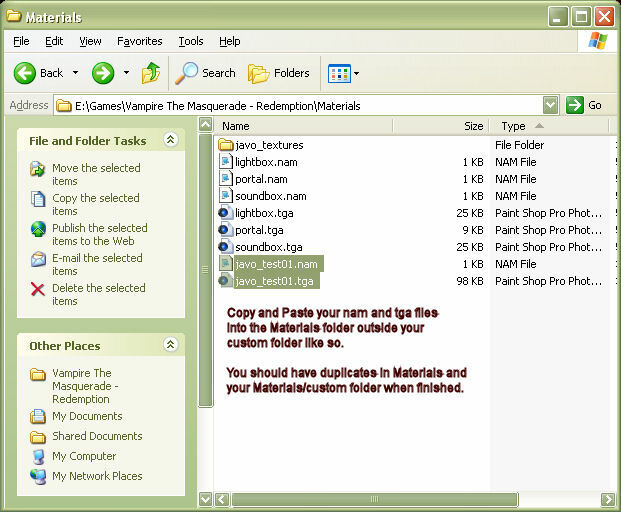 -Now place all of the tga files you want into the custom folder. 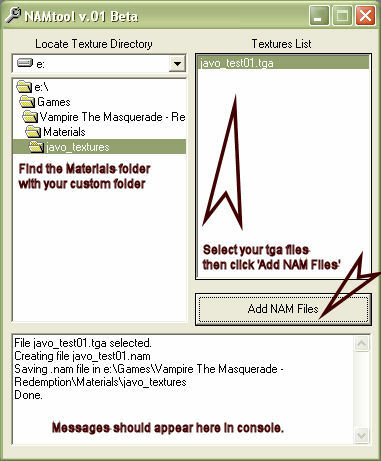 -Now load up the nam tool and find your Materials/custom folder inside you Vampire - Redemption folder. -Now copy all of the nam and tga files and place them into the Materials folder so you'll have duplicates in both Materials and Materials\custom locations. 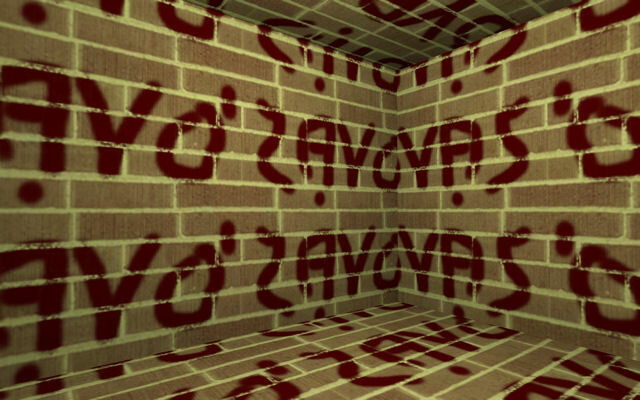 I often wondered why Vamp requires the duplicate textures, dont suppose anyone knows the technical reasons? It seems a bit inefficient to have every texture twice! A Guest once said to me "Oh I like Roleplaying, I just dont like it when people stand around pretending to be Vampires!" When you actually distribute your project you don't have to duplicate. This is only for embrace that the materials need duplication. When you distribute your project, place all of you tga files into your materials folder and keep ONLY the nam files in your materials/custom folders. This should work. ... or was it the other way around. Been awhile sense I messed with textures. Hiya, recently got back to playing VTM-R the last week or so and started going through all my old dvd disks of mods, maps, skins etc etc a daunting task cos i got quite a few full to capacity most of the old modhaven stuff etc too. How do I package and distribute my map or chronicle as a single .nob file? Creating a .nob file is easy! Just make a new directory (anywhere) and name it your map. Then make subdirectories under that one, one named levels, maps, scenes, and chronicles. 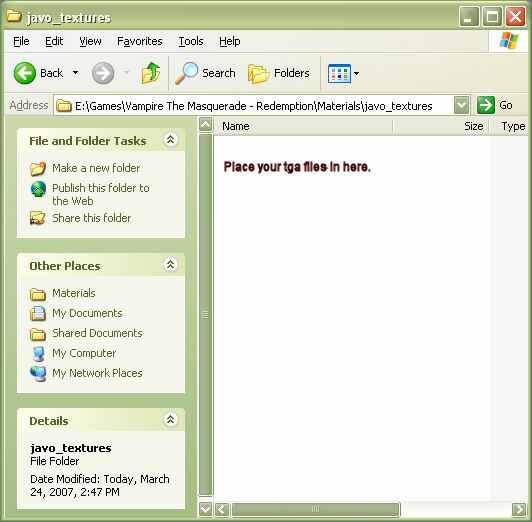 Copy any files, in each vampire directory to YOUR corresponding directory. After your done, just open WinZip, and pick "Create New Zip File". Name the zip file, whatever you like. Just zip the .nob file (WITH COMPRESSION), and your ready to upload! Thanks. I wouldn't mind seeing more of the ol' repository copy-pasted on over here for convenience. think thats all (or most of the usefull ones from mmod depo) if i find anything more i will post em up, btw if theres anything else you might need gimie a yell i have all sorts of random stuff from the 3-4 yrs i played vtm-r (the good yrs) eg most of the maps, skins, packs, etc from mod haven etc though i am sure you prolly have most just i know some things slip the net or get lost/killed/die over the years. Yeah I was wondering, have you the source .map files to Celtic Realm? I once had them, but I have lost them and have not found them sense. When I add a custom texture, is it possible to change the way it sounds when walking on it? Yes. I forgot to upload the nodsdk documents to my website, but check the NAM file section in the nodsdk docs installed into with the sdk for info about sound types. I read the nad section of the official SDK-documents, but I don't get how it relates to the custom texture. Should I create a new nad-file and put the keyframe tags in there? Has it something to do with the NOD Exporter? NAM files are like shader files, but without all the cool shader effects.